Welcome to HideFrom Proxy. 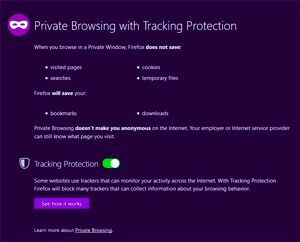 Use this best proxy site to browse other sites so that you are anonymous and so you can get on sites that are blocked by your firewall in work, school or college. Web sites often track, log, and analyze your IP address, geographical information, web browser and other personal information. HideFrom proxy hides your personal information such as your IP address from these web servers! All that you have to do is type the website address you would like to visit in the form below and start browsing. Once you keep browsing via this proxy site, you are protected and your 'real' ip address is not being logged. Stay Anonymous! Hide your current IP 54.91.121.255. What's the best Youtube proxy? There is no reliable proxy that will work with Youtube videos. At least not for a long time. If you want to access Youtube (or any other videos streaming site), just go a get a good VPN service. Anonymous proxy site works as a "middleman". You do not access the website you want directly but via this site. So your computer goes to this site and the proxy script then goes to internet and access your desired website. So the website doesn't know anything about you. Sometimes even proxy sites might be blocked, so if you have a problem, try some other proxy - we maintain fresh unblocked proxy sites list. Yes, there is. VPNs can hide and protect all your traffic, whereas web proxy works only in your browser. VPNs also gives you higher level of protection. The main drawback is that no good VPN is free and you have to pay for it.